Organizing your Workplace Weight Loss Challenge is fun AND work. Hopefully the fun you have will out-weight the work and hours you will have to put in to organize an enjoyable and successful challenge. Getting organized means you need to recruit help. Begin early by getting the participants and team leaders into place before the event starts. Arranging the hierarchy and task flowchart is your first job as the Office Weight Loss Challenge Coordinator. Select the team leaders and help them select their team of voluntary participants. Hosting the Challenge means you get final say on what it will be about. It can be anything from just a race to see who can lose the most weight to a full-on health event that includes fitness, wellness, education, team events, fundraising, as well as lots of fun and prizes. Running a contest that is just about losing weight isn’t recommend as it can become very unhealthy and harmful. 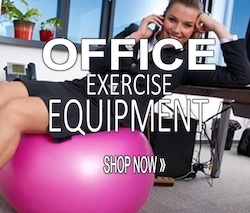 What are the Office Weight Loss Challenge Organizers tasks and responsibilities? You (the host) and the rest of the team can divvy up the responsibilities to ensure a smooth running challenge. As the organizer it is all on you to make sure people are carrying out the tasks needed on time. How to Choose a Weight Loss Challenge Organizer? There are some basic qualities the organizer should have. The person in charge of the event should be someone who is a great organizer and delegator. Because this is going to be a workplace Challenge, I suggest that it is best not to have a supervisor or someone from management running it. Having a boss in charge of a “fun” event can kill motivation really fast. If all else fails, someone from HR (Human Resources), or OH (Occupational Health), or similar, should be capable of this responsibility and not ruffle feathers. As the one in charge it is up to you to build the team, delegate tasks, and develop a timeline. Putting on a fun and (seemingly) effortless Office Weight Loss Challenge takes planning and time. Assembling a good team to help you is essential. The team helps promote a sense of accountability, camaraderie, and provides you with a pool of resources when it comes to brainstorming activities, challenges, and awards. Before you even get started, make sure you have the bosses blessings to put on a challenge at work. Make sure they know and approve of all that it will entail. This includes what you expect the company to offer in way of matched prize contributions, time and space allowed for fitness and healthy activities, and corporate sponsorship. Once you have the cooperation and blessings of management you will need to get the word out and build your list of interested participants, team leaders, and volunteers. You don’t absolutely need the help of others, but there IS a lot to do. Try to find people who are adept at the tasks needed, and if possible, allow people to choose the task(s) they enjoy most and are best at. Planning a Challenge at work requires special planning skills that helps all the pieces fit together on time. You (the organizer) are the point person in charge of scheduling the committee meetings, and combining all the resources they bring to the table. You are going to need someone in charge of promoting the event and acting as liaison (ie marketing and PR). This person will be in charge of sending and answering the team emails, providing you with the updates because you will be maintaining the leaderboard. If you are including external outreach for charitable sponsorship you might consider adding another person to this role so they can focus solely on community involvement. One person should manage the money. This will require detailed accounts for money in and money out. This includes participant fees, and purchases such as team T-shirts and prizes. If you are including a fundraising activity it needs to be accounted for as well. You will need to have an event coordinator. This person will schedule the room(s) for weekly meetings, weigh-ins, and games. They will also be responsible to find special venues for additional occasions as required. These activities may include anything from scheduling restaurant reservations for the “eating out” week of the challenge, to planning a walking route for the “step challenge”. As the host, you will also be the head coordinator in charge of ongoing communications, timelines, and deliverables. Don’t assume that just because someone has agreed to have something completed by next Friday that they will. Some people are not comfortable saying “no” and may have agreed to doing something they really didn’t want to. It is incumbent on you to ensure all assignments are delivered completed and on time. Every Weight Loss Challenge requires a person to oversee the weekly weigh-in. You must respect that this is a delicate issue with some folks. Discretion and trust must be assured to the participants. The staff nurse or health coordinator will likely be the most obvious choice for this position. Make sure all participants have verified their fitness to participate. It might be a good time to encourage they go see their doctor for an annual checkup. Publish the Weight Loss Challenge Rules and make sure everyone gets a copy. If you are going to have specialists come in to the office to talk about diet and exercise, they should be interviewed and booked early. Not all personal trainers are familiar with office fitness or with obese persons. As well, not all nutritionists are able to help people with special dietary needs. Anyone you bring in for a talk will be asked questions and likely put on demonstrations so they need to be experienced, knowledgeable, and personable. Encourage them to promote their business and offer special pricing to the challengers. This cross-promotion might be enticing enough for them to come for free. Once the type of scoring is agreed upon, publication and verification of weekly totals will be your responsibility. You don’t have to do the weigh-ins but you do need the weekly numbers (pounds or percentage). If you are adding points for activities you will collect these from the team leaders. You will be responsible to send out the group emails, weekly newsletters, and post updates to the leaderboards. You will be the FIRST to know who the finalists and winners are. Do not delegate or share this information before the ceremonial unveiling. Create a workplace challenge email list specific for these communications. You should have the teams and team leaders on different lists. Send out updates and reminders. You don’t have to remind everyone of an event but remind the team leaders to remind their team. Being in charge requires you to be somewhat removed from the groups in case there is a dispute requiring adjudication. You may want to choose an impartial individual to be the final judge. Probably not someone from management. To keep things fun and fair, management and supervisors can just relax from their leadership roles and be part of a Weight Loss Challenge Team. Your Mission, Should You Choose to Accept it. I have hardly even scratched the surface of whats involved hosting and organizing a fun and successful Weight Loss Challenge for the Workplace. It sure sounds a lot like work doesn’t it? As the organizer it is your job to hunker down and make sure it is FUN and SUCCESSFUL event for everyone else! When you do, people will talk about you and the fun time they had for years to come! If you would like some guidance, we have a $27 handbook with helpful hints and tips on getting started. Just shoot us off an email and put “WLC Help” in the subject line.